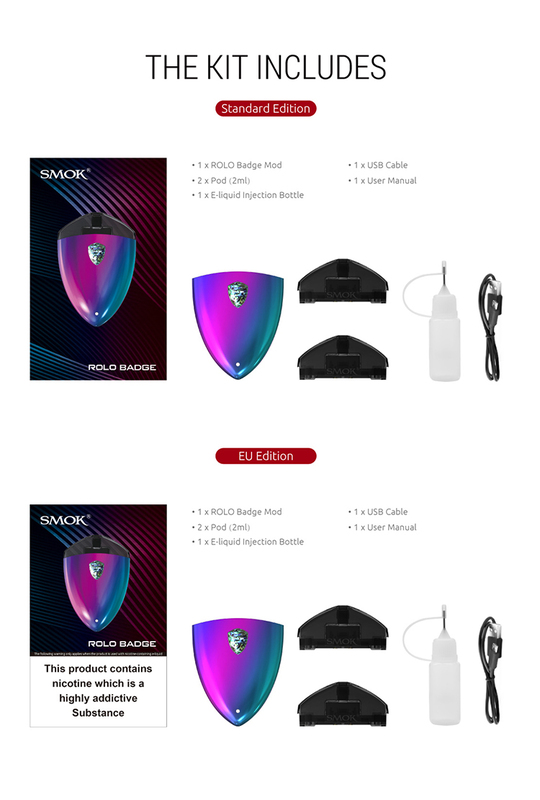 SMOK Rolo Badge Ultra Portable System Kit is the All-In-One Starter Kit that made of Zinc Alloy and PC material. 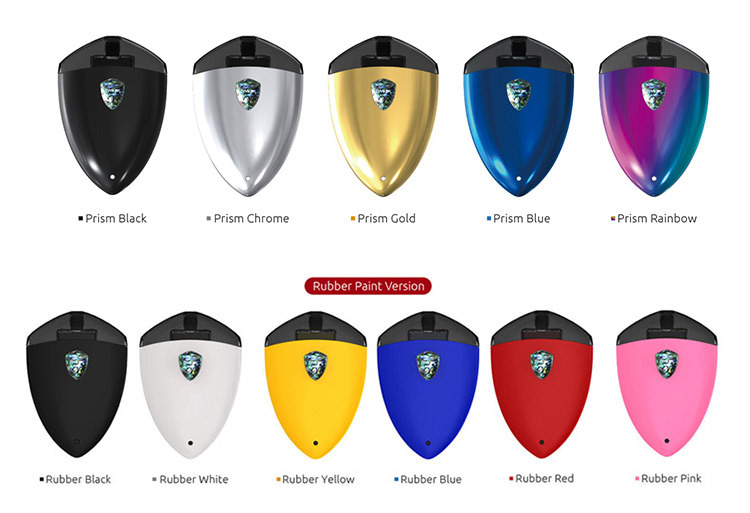 With the shaped like a brilliant emblem, it is the pocket vape kit to anywhere. One of the best pod systems I have tried. 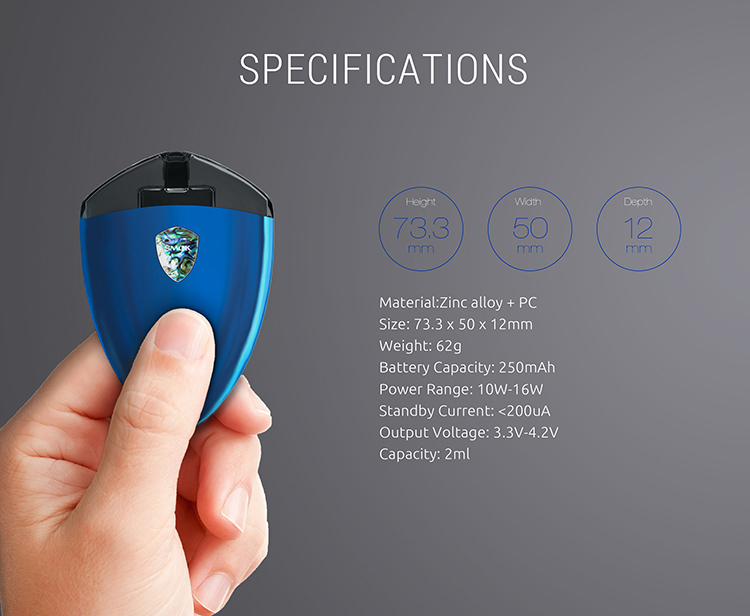 Great flavor and vapor product and the battery lasts almost a full day. I would highly recommend this pod system.